On the 24th of March we held the very first FullMarks event, an uploading sprint. The site was, and still is, in beta and the event was the first opportunity to let a random selection of participants have unrestricted access. All previous site demonstrations had been under quite controlled conditions and much smaller. 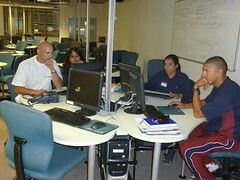 The event was held at the University of Cape Town‘s Chemical Engineering Department and ran for the whole day. You can see the invitation and agenda here. 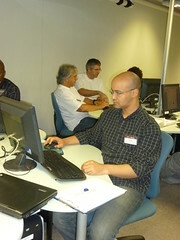 We had 30 participants supported by the actual software development team from Upfront Systems. The objective was to start to enter content into the assessment bank in preparation for an official launch later this year. 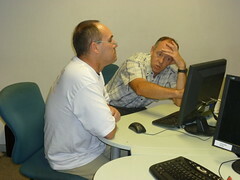 We were able to use one of the computer laboratories in the department and were to use the university’s internet connection. The event was held during the university holiday which simplified logistics significantly. 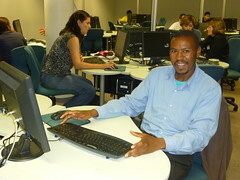 All of the participants brought content with them either on laptop, CD or memory stick. 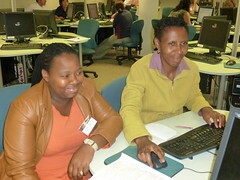 We began the day with an introduction to Open Educational Resources and their benefits which was well received. Then we began with the work. We allowed the participants to begin by creating questions directly on the site using the creation form so that they would understand the structure of what was being stored before moving on to uploading using the OpenOffice importer functionality. The bulk of the day was spent on uploading. Being the first users they couldn’t yet take advantage of the test creation functionality as the bank was empty. 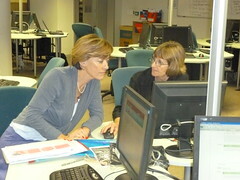 The last session of the day was used to then demonstrate the test creation and analysis functionality. The spectrum of teachers ensured that we had a variety of grades covered, many different subjects/learning areas and that we had a content in many different formats, digital and layout, that people wanted to import which gave us a great opportunity to stress test the question creation and importing functionality as well as test creation. Upfront Systems were on hand to resolve a number of small issues identified as well as discuss educators’ needs with them directly. The long-term success of FullMarks will depend on ensuring the link between the development team and educators remains as direct, clear and effective as possible. Some more serious issues were also discovered which is great for developing a robust solution and having the users and developers in the room meant that the issues were quickly pinned down, without the long discussions around reproducibility that sometimes happen online. The most exciting part of the day was the willingness of the teachers to share material and the opportunity to connect them with the Upfront team directly. It is important to get questions into the bank but strengthening the community around the project will really have long-term benefits for the project. We had intended to run 6 workshops at the AMESA Congress the starting the Sunday after this sprint but one of the issues identified, involving non-standard styling comments from Word, was able to cripple the site by throwing the PDF generator into an infinite loop, and any user could do it set it off. This was discovered just before the workshop when someone did it and so the FullMarks workshops at the AMESA Congress became Siyavula workshops instead. We’re working on an alternative plan to ramp up our content and user-base before the official launch of FullMarks, watch this space for more details. The photographs are courtesy of René Toerien and can be found here.